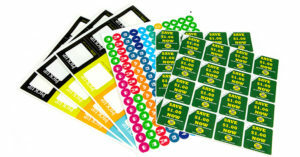 We can labels in full colour to various sizes. With our large format machine we can print onto self adhesive vinyl up to 1 square meter. Contact us with your specific requirements to see how we can accommodate you.